The Egyptian military bombed the tourists as they were having a picnic in the desert. Eight Mexican tourists were killed and six more injured when Egyptian armed forces bombed their tour group after mistaking them for terrorist insurgents on Sunday. The governments of both countries confirmed the death toll on Tuesday. 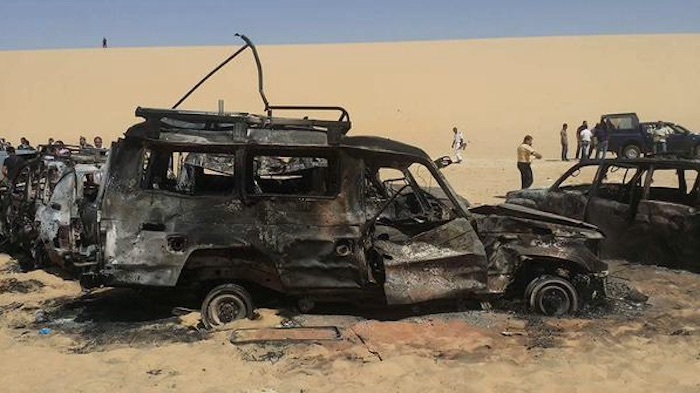 Four Egyptians were also killed and at least two more injured in the attack, which took place near the Bahariya oasis in Egypt’s Western Desert. Click here to read this story in full at Latin Correspondent.